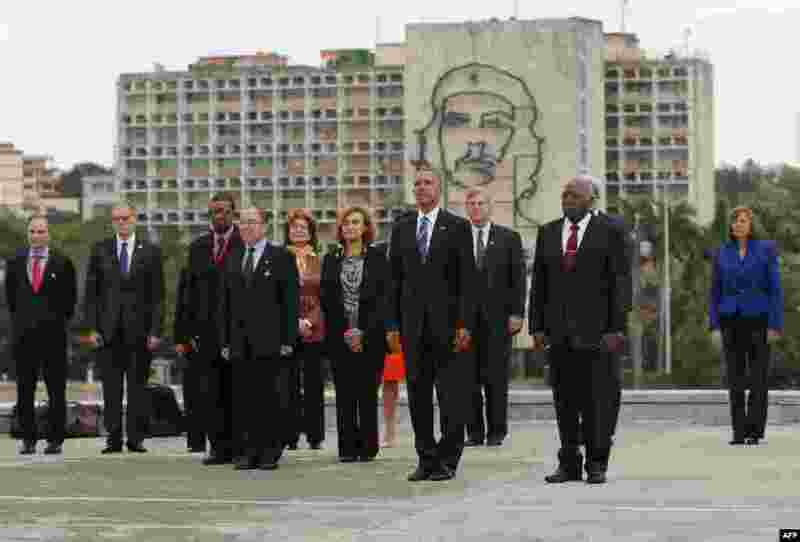 ١ U.S. President Barack Obama (C) attends a wreath-laying ceremony at the Jose Marti monument in the Revolution Plaza in Havana next to the Vice-President of the Cuban Council Salvador Valdes Mesa (C-R). 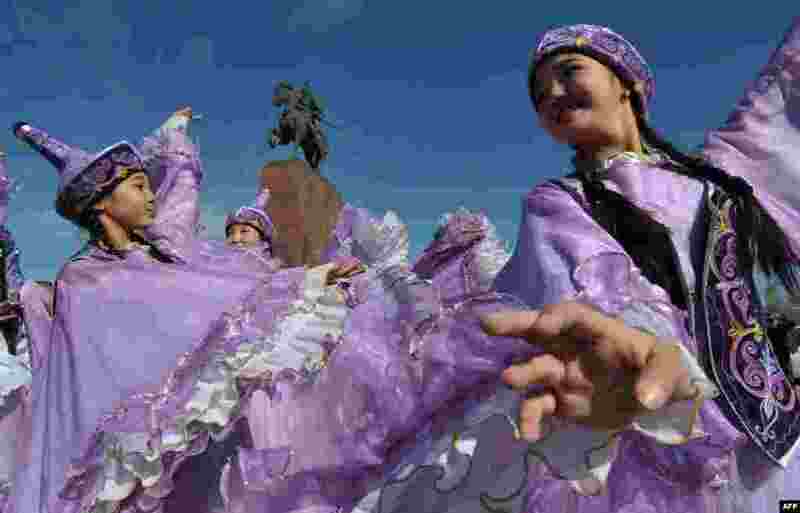 ٢ Kyrgyz women wearing traditional costumes perform during the celebrations of Nowruz (New Year) at the central Ala-Too Square in Bishkek, Kyrgyzstan. 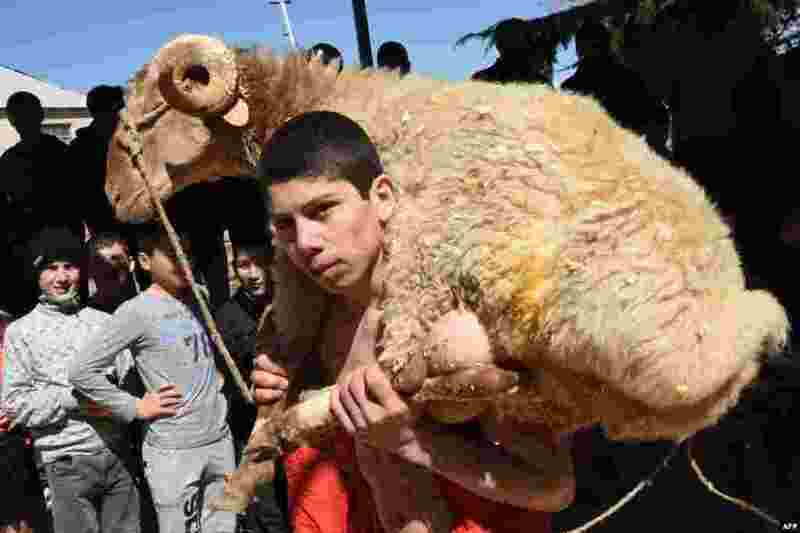 ٣ A boy carries his trophy - a sheep - after winning an amateur wrestling tournament during the celebrations of Nowruz (New Year) in the town of Marneuli, where ethnic Azerbaijanians reside, outside Tbilisi, Georgia.